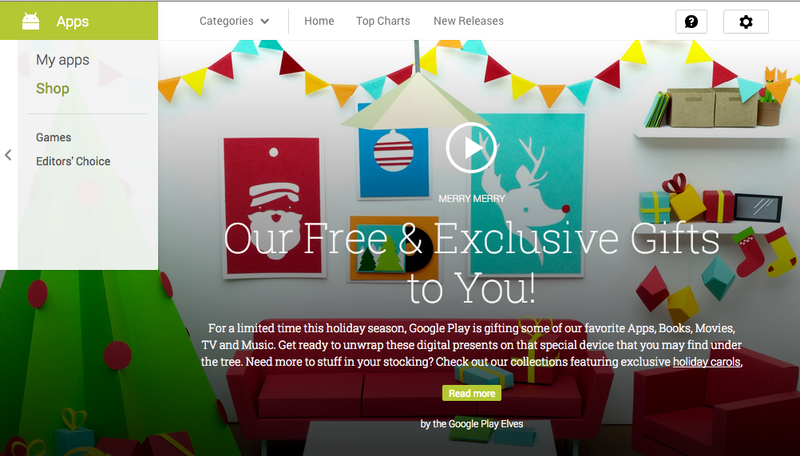 It’s the most wonderful time of the year, and Google has caught ahold of the Christmas spirit. Mountain View has decided to be generous, since Christmas is more about giving than receiving. Right now, there are a few good deals at the Google Play Store that you should know about so that you do not miss the savings. 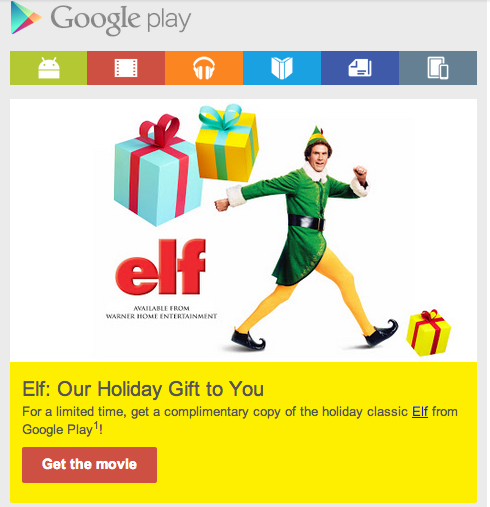 Right now, Google offers Android users (and Google Play customers) the right to download the Christmas movie “Elf.” I have seen Elf a few times in the past, and I imagine that I’m not alone. If you have seen it, now’s the time to download a classic movie. If you have not seen it, now’s as good a time as any to see a movie that you’ve never seen before – and for free at that. There is one caveat to the download, however: you can only download the Elf movie in standard definition (SD), not high-definition. For some, this will break the desire to download the movie, but others will simply be happy with a free movie. Though I love HD movies, I will place my hat in the latter category on this one. Been looking for some Christmas music to usher in Christmas? Christmas is only two days away now, and you can never get enough of the old-time Christmas carols. Some of the artists whose Christmas carols are available are Sonny and the Sunsets, Sharon Jones, Nick Lowe, Michael Franti, and Trombone Shorty. Having played trombone for some 13 years, I can appreciate Trombone Shorty’s “Jingle Bells” rendition. A good download from the Google Play Store will do you some good. 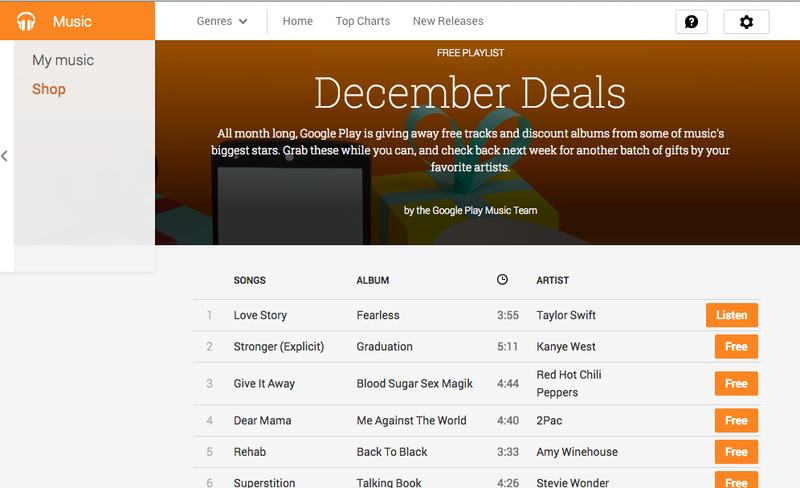 In addition, Google also offers some December deals on free music from its Google Play Music collection, songs from artists such as Kanye West, Snoop Dogg, Stevie Wonder, Amy Winehouse, Coldplay, Phil Collins, Taylor Swift, and others. The songs are completely free and won’t cost you a dime – although you’ll have to go through the same transaction process you would go through if you were purchasing a movie or song with your own money. 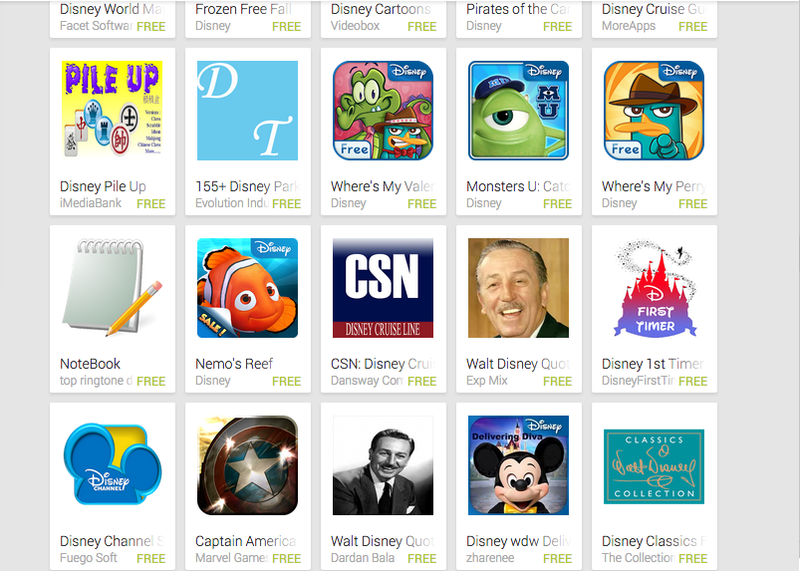 Are you excited about the free movie, songs, and games available at the Google Play Store? Which ones do you intend to pick up this holiday season? 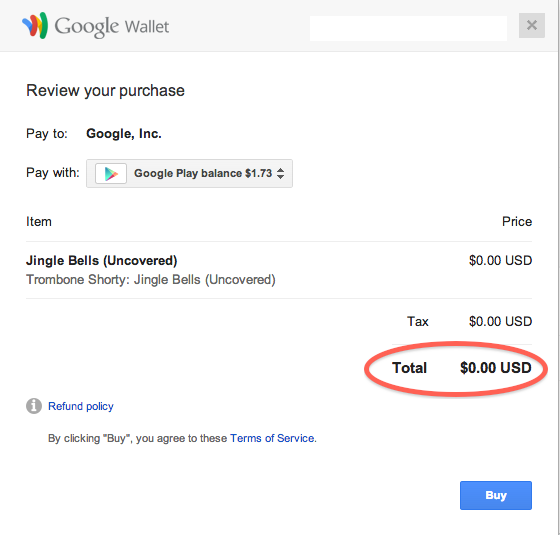 Please feel free to let us know in the comments below — that is, after heading to theGoogle Play Store.